I am waiting at the airport for my flight back home. I have about 1 hour to kill and might as well seise the moment and write a blog entry about my impressions from the fuse community day we held here in London. At first I have to say that I must have picked a really bad spot at the airport, the Bridge Bar - terminal 3. I have never had such a terrible old fashioned burger with crisps before. After a night out with beers and drinks, I am really not that picky about food the day after. Food like you would categorize as junk food suits in fact well. I immediately had a bad feeling when I had to order at the bar and barely got back to my seat before the waiter arrived with my meal. This is one of the first times I have to just eat less than 25% of the meal before giving up. Back to the community day. Before arriving to the sense at the Skills Matter Exchange office, I had an impression it would be a regular and a bit fancy office. But it turned out to be a really rustic area which reminded me of a garage or warehouse which has been painted up a bit and installed a kitchen. The area was perfect for such a event as the FUSE community days, as we really want to make it a informal event where we have a line of mixed speakers and that you get the chance to network and chat with others over coffee and beers. I personally enjoyed listening to others about the business planes, ideas and integration challenges they are facing. I was the first speaker on the stand and I was given in addition 20 minutes so this time my presentation had additional slides and more time to go more deep than the event in Germany. We had a brief hands up in terms of who was using Camel and there was not full hands, so this was a great chance for me to enlighten people what Camel is and what it may be able to help you with. After the presentation there was great questions from the audience and with the help of James Strachan we managed to give back great answers. I was impressed by James Casey who presented a talk about how CERN uses FUSE as a messaging backbone in their IT portfolio. Dan Salt presented a very interesting talk about some of the mornings challenges in the energy section having the need for a "smart grid". In between Adrian Trenaman from Progress, gave a talk about scaling up Apache ServiceMix, which was a perfect follow up on my Camel talk, as people are interesting to know how to run their Camel applications in a clustered environment, which ServiceMix 4 fit in well. Debbie Moynihan from FUSE marketing was also present, and she had audio and video equipment with her, so all the talks was recorded. She said she will have the recordings processed and post it on the FUSE website. I was told that they are planning a new FUSE community day in Paris after the holidays. And that London and Frankfurt is on the radar next year as well. 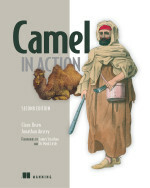 So if Camel is still interesting these times around, then I may be able to attend and give a talk. Regardless of what the days is a really cozy and relaxed day. I wish back in my previous days that such kind of events was more around. Much easier to convince your boss to take a day out of the office, when everything is free. Bring it to Australia and I'll happily chat about how Camel is being used at airports within Malaysia! Hi Claus, Enjoyed your talk the other day. I had a question I wanted to sneak in at the end but unfortunately we ran out of time. I was going to ask about how Camel differs from Spring Integration, it seems there is a lot of crossover. But yeah Camel and SI are one the same page about EIPs and lightweight embeddable integration framework. SI is although a new framework which have some catch up to do. And SI has only a limited set of components.